Parents are a child's first and most important educator. At Wimborne St Giles we value and appreciate the important role parents have in supporting each child, developing them to develop a positive attitude to school and a love of learning. Research has shown that children learn best when home and school work in partnership. 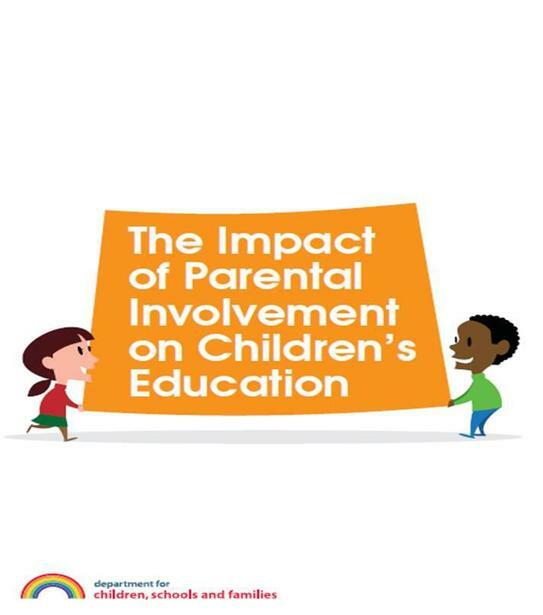 There is a strong and clear link between parental engagement and children's achievement. We are keen to ensure that our parents are provided with opportunities to learn how to support learning in the most effective way. We therefore offer a range of activities for parents to actively participate their children's education and are always appreciative of suggestions as to how we can help even more. Scroll down for upcoming parent workshops and resources to help you support your child at home! Click below for further reading. Jargon Buster The many terms and abbreviations used in education are not always immediately obvious or explained to parents. Here you will find a handy explanation of some of the most commonly used terms. In the summer term, parents are invited to tour the whole school, guided by their children. They are able to look around all the classrooms and facilities, celebrate the school's work and meet with staff. It is a good opportunity to prepare for the new academic year. These are very well attended by parents, keen to learn how best to help their children with their learning. They have focused on Mathematics and Literacy in recent months, giving parents information as to the latest in educational thinking and practical ways in which to support their children. Twice a term we invite Mums or Dads to spend some time in school, working alongside their children in class. These events are extremely popular and it is a wonderful opportunity for parents to get a feel of their child's learning environment. In conjunction with the Governing Body, an annual survey is created to help the staff and governors evaluate how parents feel about all aspects of the school. Feedback is taken very seriously and used to ensure the very best is being done for every child at Wimborne St Giles. It is also a chance to hear what the school is doing really well and to maintain the high standards. Surveys are also conducted on a regular basis to consult with parents over important decisions and changes. All parents are automatically members of the PTA. They are invited and encouraged to participate in the various functions and fundraising initiatives that are arranged throughout the year. These events raise money for extra equipment around the school that would otherwise not be available to the children (eg many of the IT resources and playground equipment is funded by the PA). These are published fortnightly and Curriculum News goes out once a month. The new school website will be frequently updated with Latest News and events. Lots of parents offer their time to volunteer in school - hearing reading, leading guided reading groups, helping in class, with school trips and running extra curricular clubs. If you would like to volunteer, please talk to the class teacher. You will need a short induction and also to apply for a DBS (security) check through the school office. We are extremely grateful for all the extra help and support from our parents.